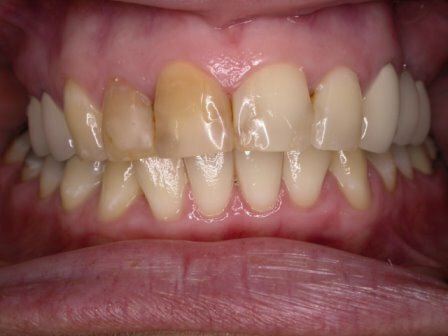 A very challenging case – the right central and lateral incisors had root canal therapy and are so much darker than the rest. All ceramic crowns were constructed on those two teeth. 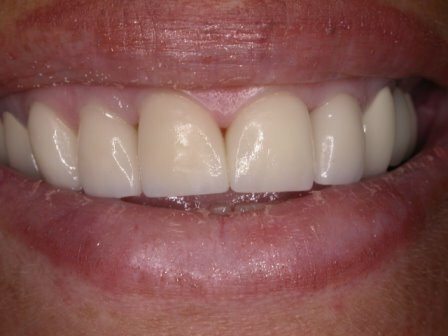 Three porcelain veneers were also constructed. Observe the excellent esthetics and the perfect color match.